NewYork-Presbyterian and Weill Cornell Medicine have begun the first clinical trial in the U.S. that uses a small molecule, 177Lu-PSMA-617, to treat men with progressive prostate cancer that has spread beyond the prostate, or is metastatic, and is no longer responding to hormonal therapy. The Phase 1 study has completed its first round of patient enrollment, with the first six patients having undergone dosing. The researchers are using 177Lu-PSMA-617 to target prostate-specific membrane antigen (PSMA), a protein that is abundantly expressed by virtually all metastasized prostate cancers. The small molecule binds to PSMA and delivers precise radiation therapy intended to shrink the cancer. Because PSMA is present in 85 – 90 percent of prostate cancer patients' tumors, virtually all prostate cancer patients can be treated — and, because of the precision of the molecular targeting, tumor cells can be targeted and treated even before there are enough cells to form a visible tumor on a bone or CT scan. The trial primarily seeks to determine the highest dose level of the drug that can be given without significant side effects, as the prior decade of related work here points towards better responses and longer survival with higher doses. PSMA-targeted therapy is thought to be one of the most promising advances in treating metastasized prostate cancer. "This trial represents a new frontier in the treatment of metastatic prostate cancer," said Dr. Scott Tagawa, an oncologist at NewYork-Presbyterian/Weill Cornell Medical Center and The Richard A. Stratton Associate Professor in Hematology and Oncology at Weill Cornell Medicine. "While this type of therapy has shown promise, this is the first trial of its kind in the U.S. So far, patients are doing well." While this trial is the first of its kind in the U.S., this same approach to treat metastatic prostate cancer has gained substantial traction in recent years in Germany where "Compassionate Use" laws have allowed physicians to treat patients who have exhausted standard treatment options. German physicians who are able to provide this treatment in a Compassionate Use" setting have shown Lutetium 177Lu-PSMA-617 can significantly reduce the volume of tumors in the body and lead to remission of the cancer. NewYork-Presbyterian and Weill Cornell Medicine have been at the forefront of PSMA-targeted 177Lu therapy for more than a decade. Dr. Neil Bander, the Bernard and Josephine Chaus Professor of Urological Oncology and a urologic oncologist at NewYork-Presbyterian/Weill Cornell Medical Center, developed the first monoclonal antibodies to PSMA that could bind viable prostate cancer cells. As a result of Dr. Bander's efforts leading the way, PSMA has become recognized as the most prostate-cancer specific cell surface molecular target known and the lead antibody, J591, was shown to be able to target virtually all prostate cancers in patients while also avoiding healthy tissue and normal organs. It is now thought that PSMA-binding small molecules such as 177Lu-PSMA-617 and antibodies such as J591-177Lu may prove similarly effective therapeutics. The clinician-scientists at NewYork-Presbyterian and Weill Cornell Medicine have a long-standing interest and pioneered the accurate targeting of PSMA in cancer patients, and they are in the unique position of being able to target PSMA with either or both antibodies and/or small molecules. Currently, no other institution is able to offer this type of treatment. The NewYork-Presbyterian and Weill Cornell Medicine clinician-scientists are rolling out a unique program of clinical trials over the coming months that are designed to maximize the benefit to prostate cancer patients. NewYork-Presbyterian is one of the nation's most comprehensive healthcare delivery networks, focused on providing innovative and compassionate care to patients in the New York metropolitan area and around the globe. In collaboration with two renowned medical school partners, Weill Cornell Medicine and Columbia University College of Physicians & Surgeons, NewYork-Presbyterian is consistently recognized as a leader in medical education, groundbreaking research and clinical innovation. NewYork-Presbyterian is one of the largest healthcare providers in the U.S. Each year, nearly 40,000 NewYork-Presbyterian professionals deliver exceptional care to more than 4 million patients. Weill Cornell Medicine is committed to excellence in patient care, scientific discovery and the education of future physicians in New York City and around the world. The doctors and scientists of Weill Cornell Medicine—faculty from Weill Cornell Medical College, Weill Cornell Graduate School of Medical Sciences, and Weill Cornell Physician Organization—are engaged in world-class clinical care and cutting-edge research that connect patients to the latest treatment innovations and prevention strategies. 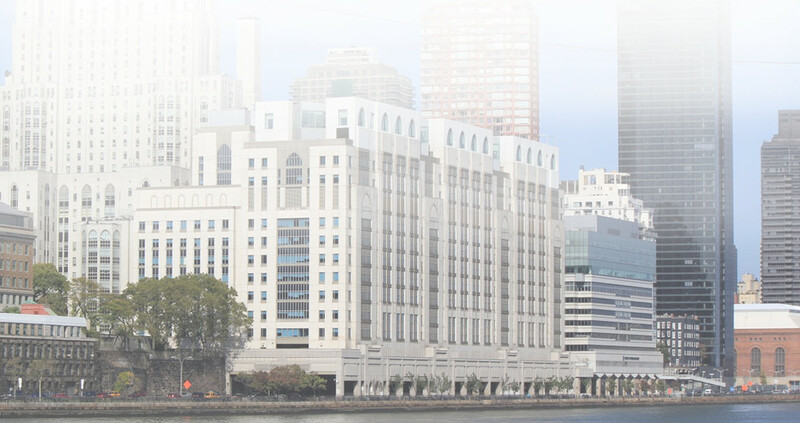 Located in the heart of the Upper East Side's scientific corridor, Weill Cornell Medicine's powerful network of collaborators extends to its parent university Cornell University; to Qatar, where an international campus offers a U.S. medical degree; and to programs in Tanzania, Haiti, Brazil, Austria and Turkey. Weill Cornell Medicine faculty provide comprehensive patient care at NewYork-Presbyterian Hospital Weill Cornell Medical Center, NewYork-Presbyterian Lower Manhattan Hospital and NewYork-Presbyterian Queens. Weill Cornell Medicine is also affiliated with Houston Methodist. For more information, visit weill.cornell.edu.